Burke Lopez is a civil trial lawyer experienced in handling a diverse case load involving coverage issues, commercial disputes, personal injury, products liability, premises liability, wrongful death litigation, commercial litigation, partnership disputes and shareholder derivative actions. He has been lead counsel in numerous jury trials, and has defended significant trucking and transportation cases, large retailers, restaurants, private security firms, food distributors, taxi and limousine companies property insurers and third party administrators in Florida state and federal courts. Mr. Lopez is board-certified by The Florida Bar as a civil trial lawyer (since 2003) and has been a certified Florida Circuit Court mediator since 1998. Clients he has represented include: Coca-Cola Enterprises, Inc., Winn-Dixie Stores, Inc., Auto Owners Insurance Company, Sedgewick Claims Services, Yellow Cab of Tampa Dominion of Canada Insurance, ServiceMaster Corporation, Terminix International, Tower Hill Insurance, Wendy's Restaurant's and Citizens Property Insurance Company. 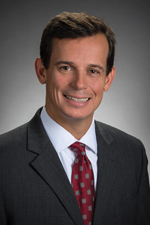 Mr. Lopez joined Hinshaw & Culbertson LLP in May 2008. Previously he was a senior associate at Rywant, Alvarez, Jones, Russo & Guyton, P.A. He began legal career in 1990 at Langford, Mooney & McDuffee, P.A. In 1992, he moved to Rywant, Alvarez, Jones & Russo, P.A., where he remained until 1996. Then Mr. Lopez spent two years at Lopez & Kelly, P.A. before returning to Rywant Alvarez in 1998. Florida Bar Board Certified, Civil Trial Law, 2003–Present. Siar v. IPC International, Pinellas County, Florida, November 2012: Defense verdict on behalf of a private security guard contractor. 5 day jury trial before Judge Douglas Baird in Clearwater Fl. Plaintiff claimed a closed head injury arising from an assault at a shopping center. The jury found no liability on the security guards present at the time of the assault. Mejia v. Citizens Property Insurance, Pasco County, Florida, March 2013: Defense verdict in favor of a homeowner's insurance carrier following a jury trial arising from a policyholder's sinkhole claim. Defendant successfully argued that interior and exterior damage to plaintiff's home was not caused by sinkhole activity beneath the home. 3 day jury trial before Judge Linda Babb in Dade City, Fl. Arce v. Wendy's Old Fashioned Hamburgers, Hardee County, Florida, April 2012: 4 day jury trial arising from a slip and fall at a Wendy's fast food restaurant. Plaintiff's injured her head, neck and shoulder and underwent shoulder surgery following the accident. Plaintiff's last demand was $350,000, jury awarded $26,000. The jury apportioned 65% fault to the Plaintiff. 4 day trial before Judge Marcus Ezelle in Wachula, Fl.